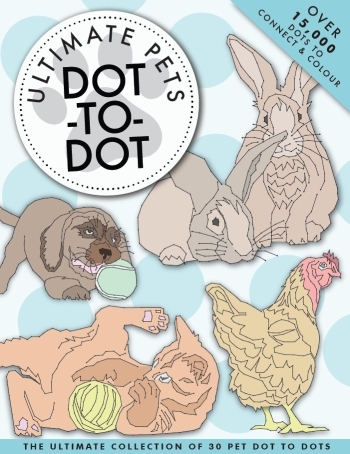 Featuring 30 intricately detailed and stunning images, this collection of ultimate pet dot-to-dots has over 15,000 dots for you to bring to life. From adorable puppies and bunnies to the unusual lizards and tortoises, there is something here for every animal lover to enjoy. The rules are simple: Starting at number 1, draw a line to number 2. Then draw a line between dot number 2 and dot number 3, and so on. When you reach a hollow (white) dot, this indicates that the current line stops. 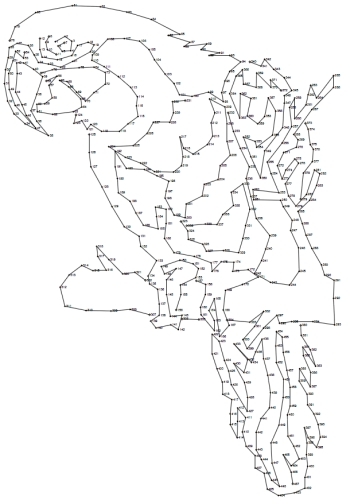 You should then look for the next dot which will also be hollow (white) and draw a new line starting there. We've shown an example of this inside the book. Solutions are featured towards the back of the book if you'd like a sneak peek before revealing the finished puzzle!